These little bites are the perfect escape for your taste buds this holiday season! 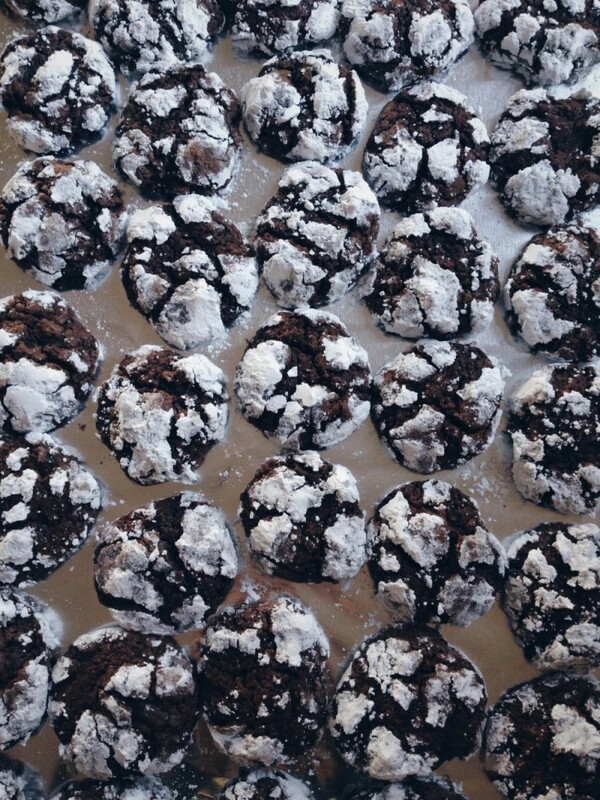 Mrs. Claus makes these delectable treats for us elves when we’ve had an exceptionally busy day. They have a light crisp exterior and a gooey melty interior, and not to say they are most pleasing to the eye on any holiday table! – In an electric mixing bowl combine the butter, sugar and vanilla until smooth. – In a separate bowl whisk together the cocoa, flour, baking powder, and salt. – Add the flour to the wet mixture sifting little by little, mixing between each add. – Then fold in the chocolate chips. – Now cover the bowl and allow to chill in the fridge for at least an hour, until the dough is firm enough to handle. – While the dough is chilling prepare your baking pans by lining them with foil. This helps to prevent powdered sugar from sticking to your bakeware. – Preheat oven to 350 degrees. Prepare ½ cup of powdered sugar into a small bowl (you may need more but this is a good start). 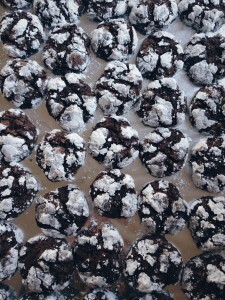 – After the dough is chilled, use a spoon to form 1 inch balls and roll them in the powdered sugar until coated all around. – Bake for 12 minutes.